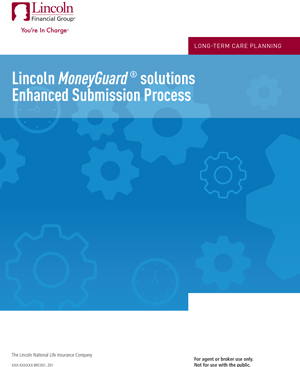 Welcome to the new Lincoln MoneyGuard® II submission process. 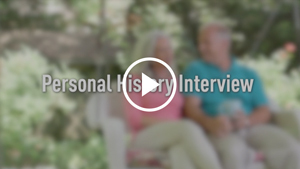 A superior client and advisor experience is on the way. 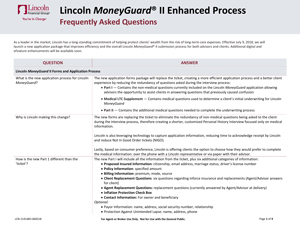 Beginning July 9, Lincoln will give you greater control over your Lincoln MoneyGuard II application experience with an enhanced Lincoln MoneyGuard submission process. 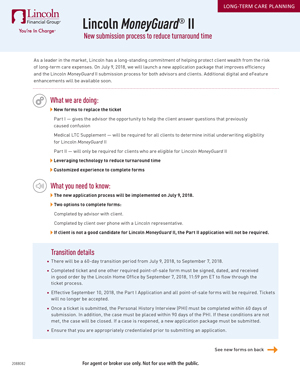 To prepare you for the new application process, the attached information provides what you’ll need to create the best experience for you and your clients. 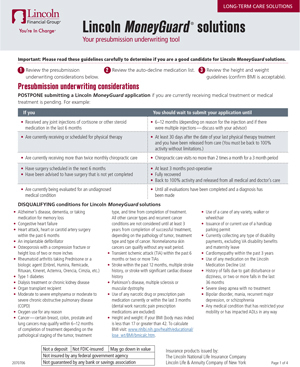 Please contact your Lincoln representative with any questions or to order materials. To view an item, click on the image. Refer to the code when ordering from your Lincoln representative. 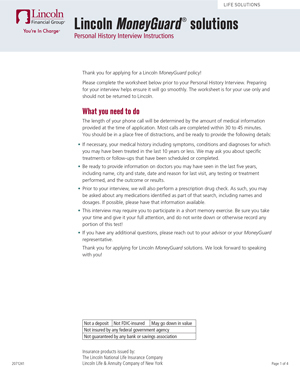 Click here for a guide on the replacement process, effective July 9, 2018. Lincoln Financial Group is the marketing name for Lincoln National Corporation and its affiliates, including broker-dealer/ distributor Lincoln Financial Distributors, Inc., Radnor, PA, and insurance company affiliates The Lincoln National Life Insurance Company, Fort Wayne, IN, and Lincoln Life & Annuity Company of New York, Syracuse, NY. Affiliates are separately responsible for their own financial and contractual obligations. 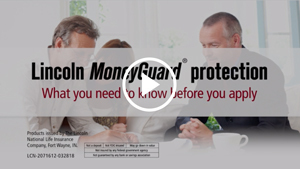 Lincoln MoneyGuard® II is a universal life insurance policy with optional long-term care benefit riders. Not available in New York.